Customers click on "Free call" in your website. Your phone rings. You will receive that call on the landline or mobile phone you designate. 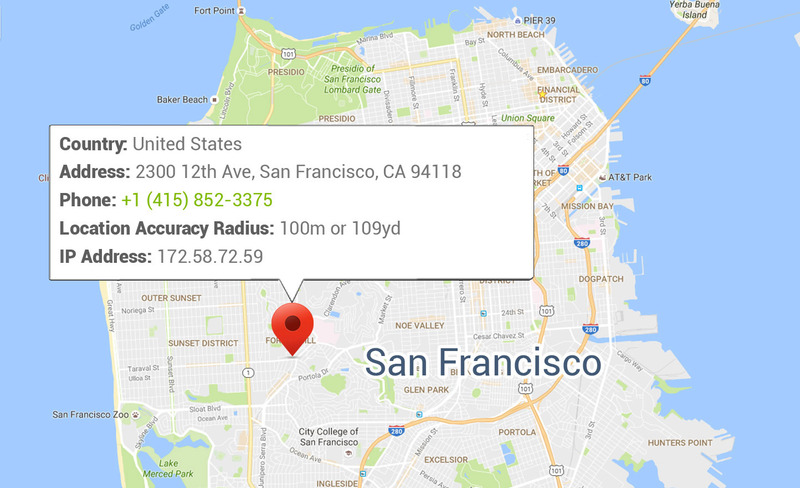 Free Call will provide you with an accurate caller location. Free Call can also provide you with the caller’s phone number. If you miss a call, you easily can phone them back right away. 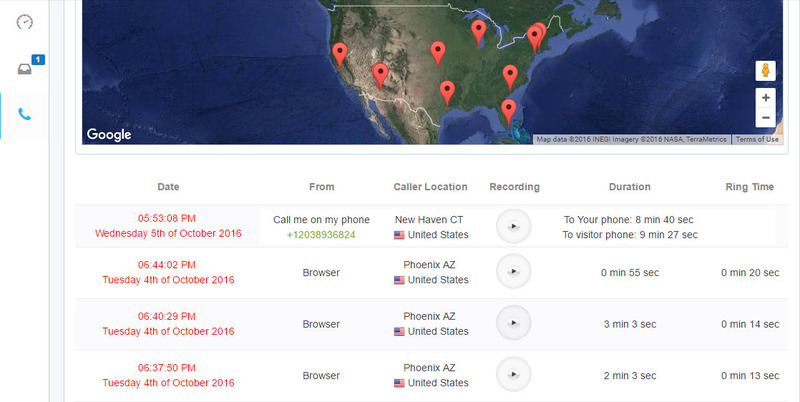 See who called you, when they called and where they called from, with our easy-to-use dashboard. 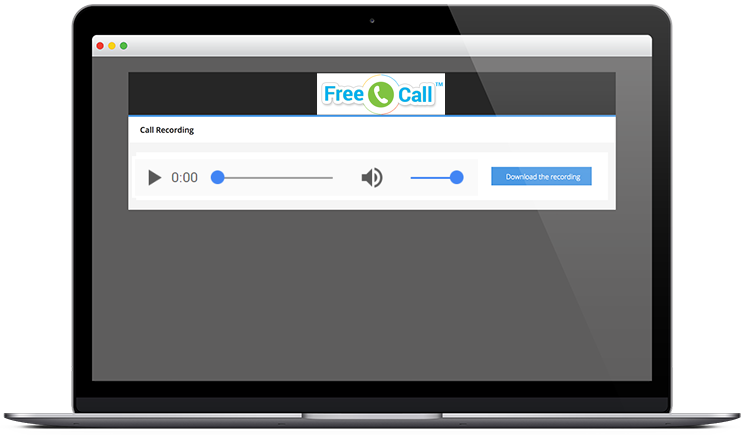 Use Call Recordings to capture details you might miss or forget. It’s also suitable for training and team-building exercises! A company might record calls for a variety of reasons – for instance, to help improve customer service, or to allow supervisors to listen to their agent’s customer interactions for training and evaluation purposes. Also, a significant number of “he said, she said” arguments can be cleared up by simply playing back a recording of the conversation with the customer. Additionally, there may be situations where call recordings are required by law and can protect you. Power up your business to the max! 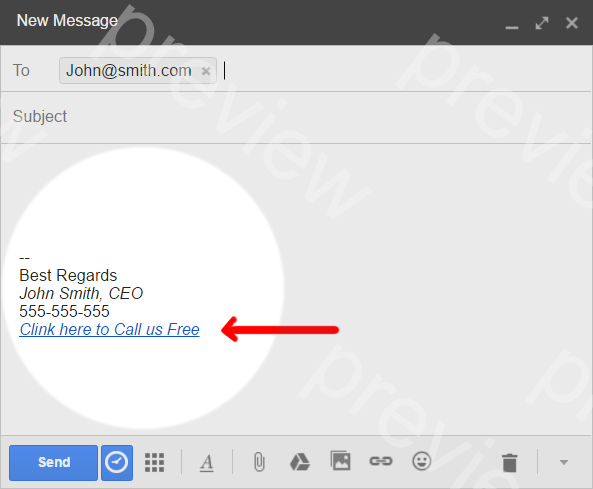 Convert your phone number into clickable Free Call link and add it to your email signature, newsletters and social media profiles! Use this powerful technique to WIN CUSTOMERS FOR LIFE by giving them confidence that they can reach you whenever they need to.